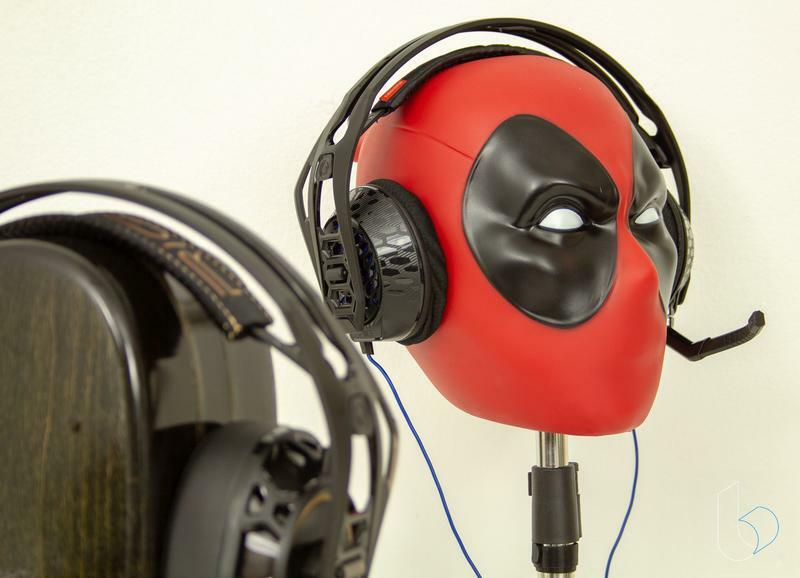 There seem to be two major schools when it comes to the design of gaming headsets. 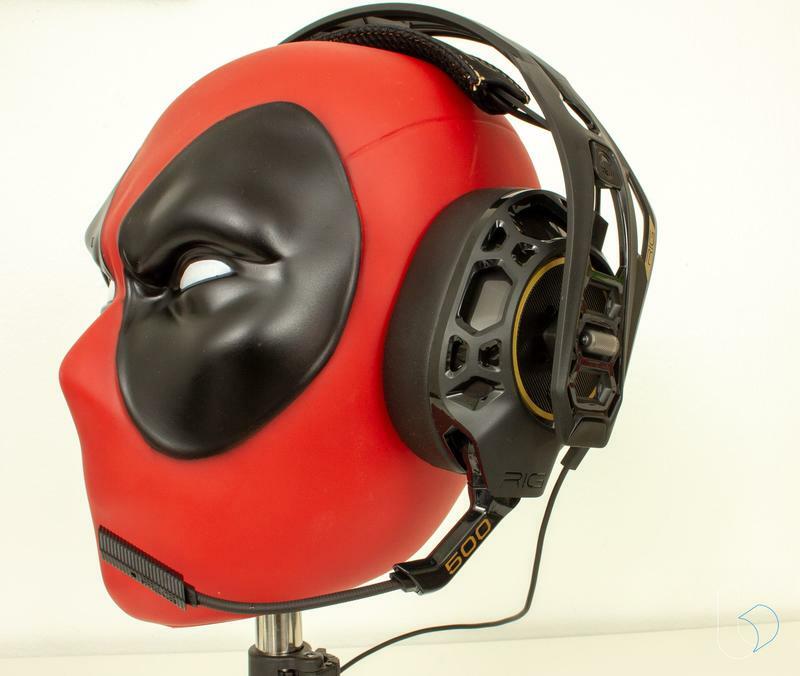 Either you go hard on the gamer aesthetic, or you try to make them look like headphones. Plantronics, a company I typically think of as providing business headsets and nothing but, is trying to find a happy medium between the two while packing some unique, useful features into a pretty simple package. The sound coming out of these still has to measure up, but let's jump in and see how they fare. Plantronics sent us two headsets to look at: The RIG 500 Pro HX ($79.99) and the RIG 500 Pro Esports Edition ($149.99). They have a very similar look. The drivers and earpads are identical in both models, as is the mic. 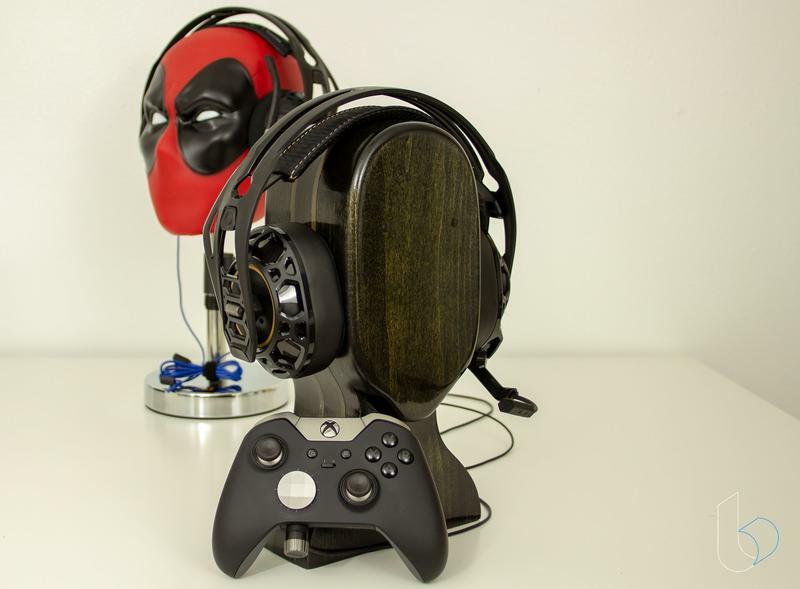 Both have a spartan honeycomb sort of build that gives them a lightweight look and feel without compromising on how sturdy they feel. It has an almost military feel to it, but without resorting to dropping camo and army logos on it. I really like the utilitarian look, especially with the lighter shade on the Esports Edition's metal body. It whispers gamer instead of screaming it. Like, "hey this person is a gamer, but like, a cool one, not a dork." Unlike, say, Corsair's HS50 headset, though, even stripping the mic off these will never allow them to pass as anything but a headset. 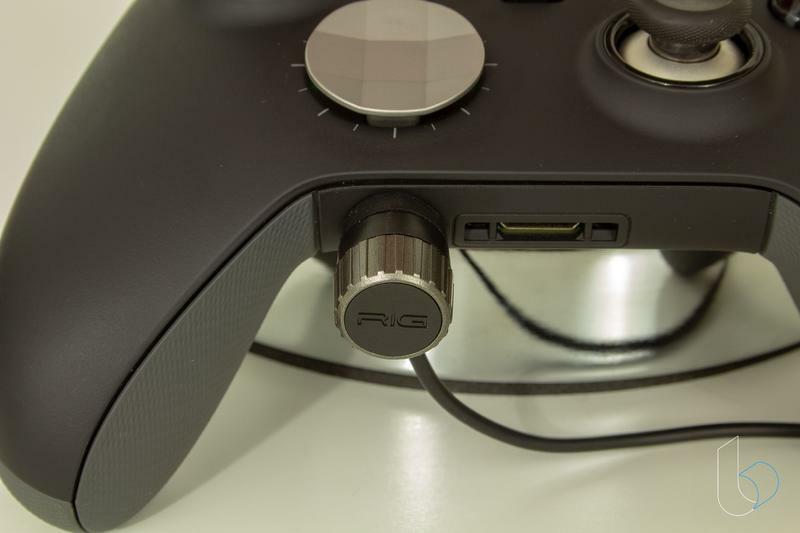 While you can unplug the mic, the swinging part of it is built into the headset, and the audio cable is back-mounted for some reason. Despite the skeletal look, they are closed-back headphones, so they seal in air and (some) sound. The mic on both is a boom-style mic that you can swing out of the way very easily – better yet, it mutes when you click it into the upward position. A few things set the Esports Edition apart, though. The biggest difference is the metal body and earcups on the Esports Edition. It's close enough to the HX model in weight that I wouldn't call that a factor, but it feels more "premium" for sure, and the cool feel of the metal on my hands reminds me that I'm putting a nice piece of hardware on every time I pick them up. 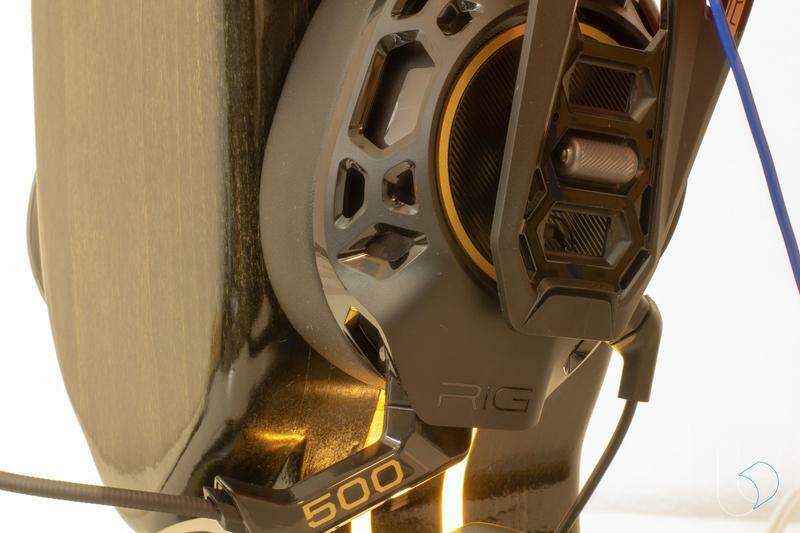 The RIG 500 – the Esports Edition especially – is one of the coolest-looking headsets I've had my hands on. 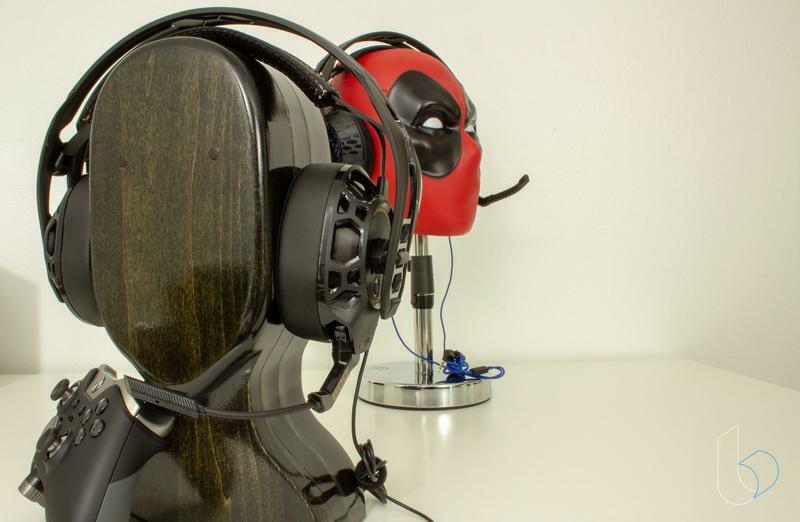 As a stereo wired headset, the RIG 500 is necessarily pretty feature-lite. There isn't any surround sound, RGB, or anything like that. 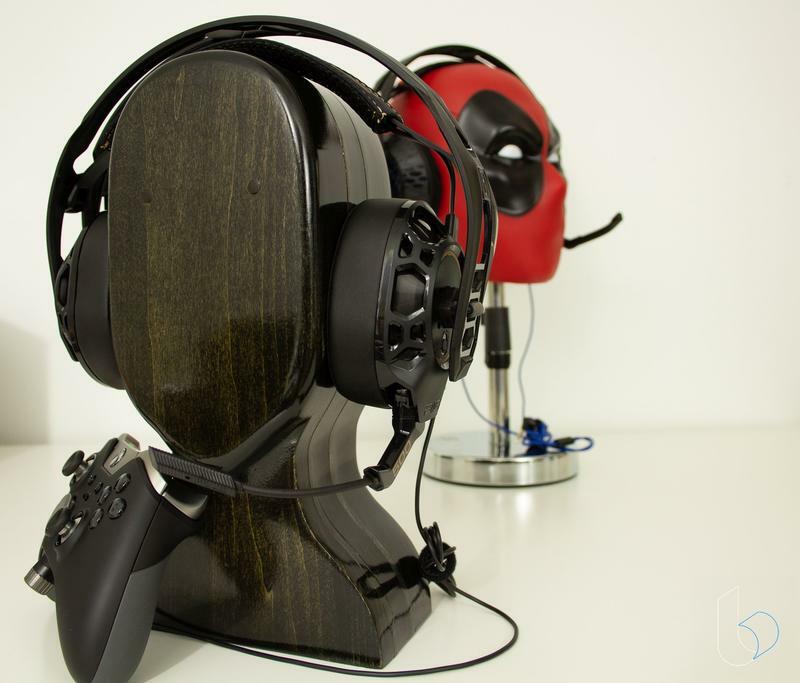 This is a stereo, wired gaming headset. With that said, it still sets itself apart. 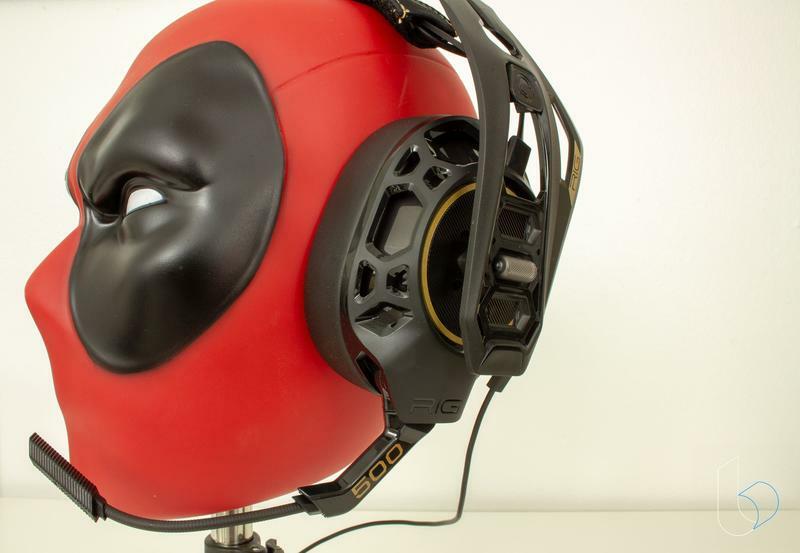 The earcups have this dual material thing going on, where the outer ring is faux leather, while the pad that rests against your head is more of a nylon-feeling, moisture-wicking fabric. That means they feel comfortable to wear for a relatively long period of time, but they don't seal the noise in terribly well. One of the coolest things is the RIG Audio Dial. If you're gaming with a PS4 or Xbox One controller, both headsets come with a cord specifically with that in mind. It's a shorter "console-length" cord that terminates in a dial you plug into the PS4 or Xbox One controller's headset jack. 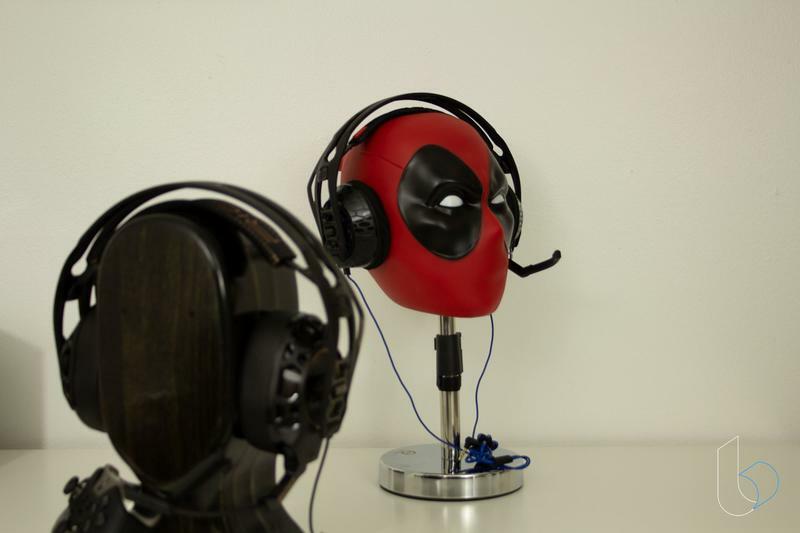 Instead of putting the volume up around chest height like most headsets like to do – a holdover from wired hands-free sets for cellphones – the volume dial is right at the controller. Tweaking your volume on the fly is significantly easier. If you live in a house with family members or roommates or play in public spaces for whatever reason, this is killer. 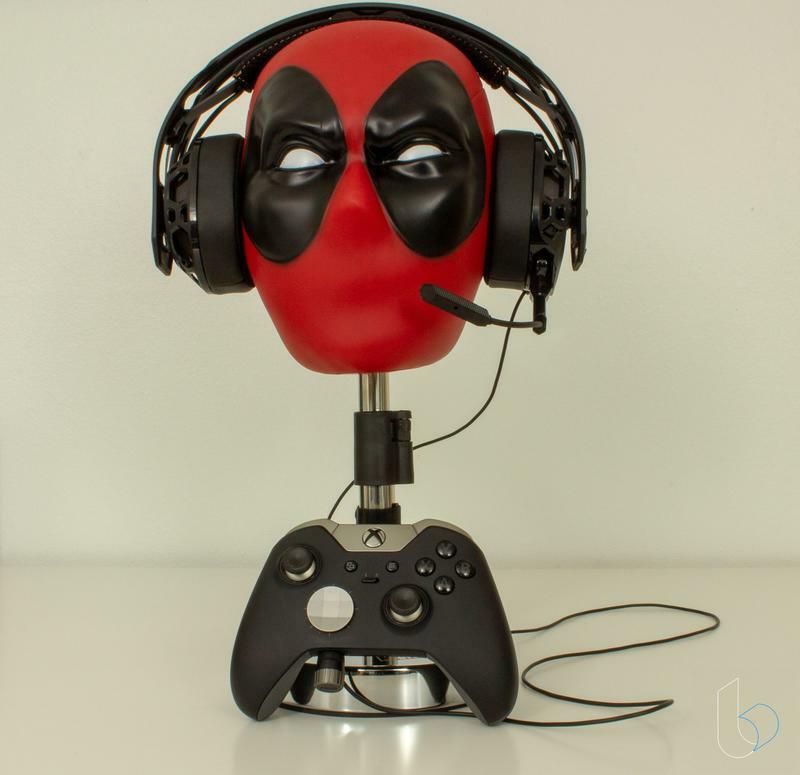 While there are Xbox and PlayStation editions of this headset, each comes with locking piece for both systems – a little piece of rubber that helps the headset plug smoothly into the controller. Just in case you're a PC gamer or don't dig that style, the Esports edition also comes with a second PC-style cord that is longer and features the in-line volume control. Plantronics is an audio company first – not a keyboard and mouse company or a computer memory company. That's not to cast shade on Plantronics competitors at all, though. Rather, it's to put extra pressure on Plantronics. Plantronics headsets have to sound better than the competition. Before I drop a verdict on that, let's talk a little bit about the sound in detail. Compared to a set of music headphones, the sound is good, but not great. It's not quite as loud as I'd like, possibly because it's meant to be plugged into game controllers with relatively small batteries rather than phones designed to last all day. That's purely conjecture, though. With that said, they do get plenty loud – I never felt like I couldn't hear whatever I was listening to. As far as sound, the RIG 500 seems to have a pretty even sound profile in my testing. 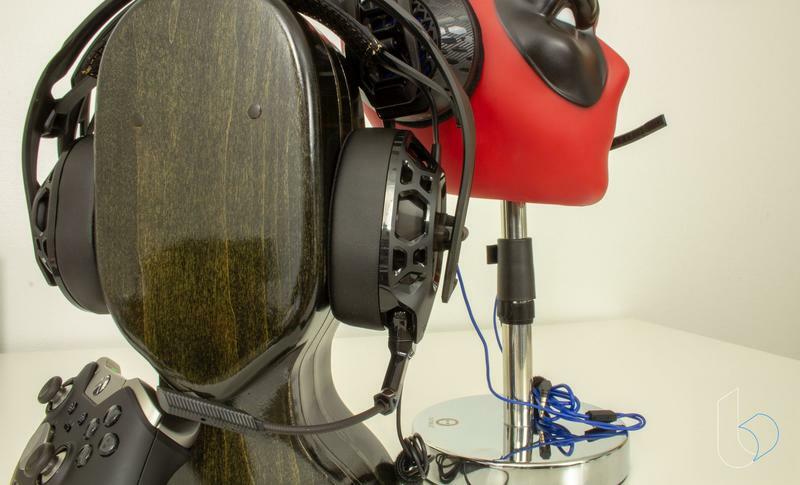 It doesn't overly sweeten bass as you'd often expect gaming headsets to do. Some stuff didn't sound as vivid as I would've liked, like the drums on Metallica's black album. I expect those particular drums to have a certain punch to them that was missing from the RIG 500. The instrument separation isn't quite as strong, either, but music still plays through them without trouble. In games like Doom it performs well-enough for my tastes. Again, it doesn't go as heavy on the bass as I often expect from gaming headsets. It's present and accounted for without being overwhelming. Digging into games like Spider-Man, Forza Horizon 3 and others presented me with clean, clear dialogue and roaring engine sounds. One of my few complaints about the headset is that they bleed noise in both directions pretty well. They're closed-back headphones and they wear like closed-back headphones, but they let noise through almost as much as open-back headphones. Oof. But like I said, these are headphones from an audio company. 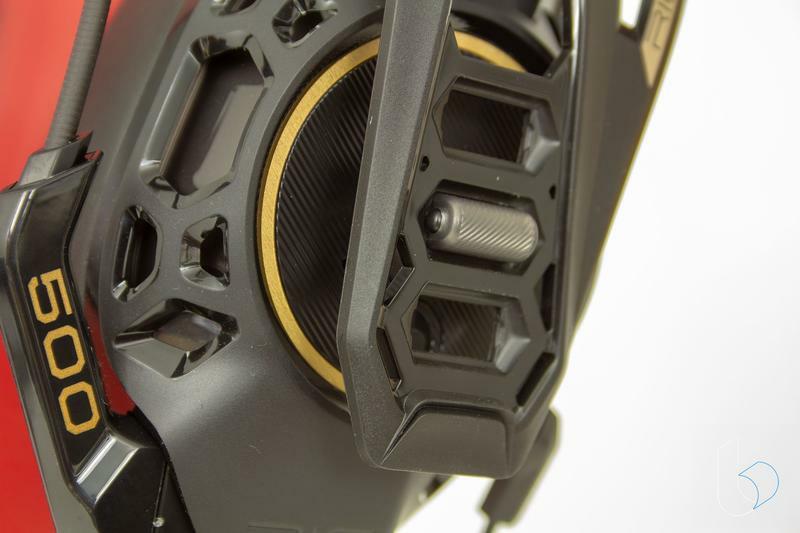 They should sound great, especially at the steeper asking price of the Esports Edition. 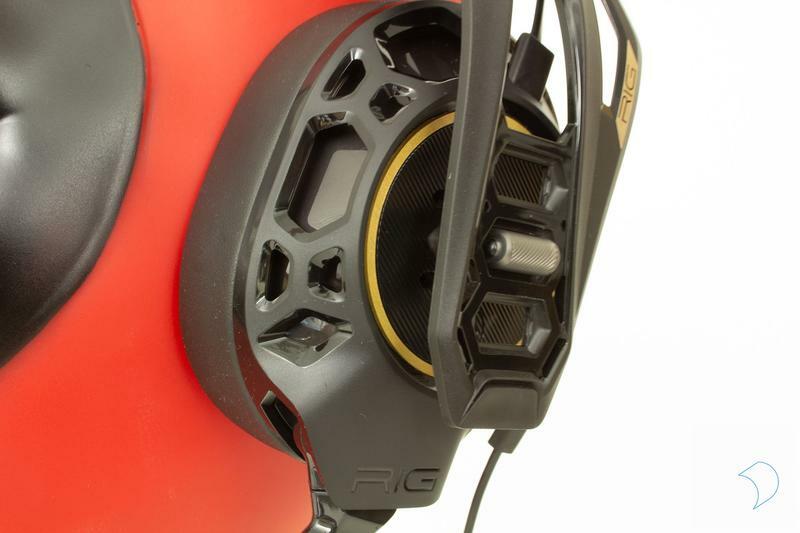 If you go for the RIG 500 HX, you'll get a pretty solid headset that works and feels sturdy. It might be a little overpriced compared to some of the competition, but it's not out of the park and should get the job done. The Esports Edition is hard to recommend at the higher price. The metal body feels great, but not $60-$70 great. The on-controller audio dial is a great idea that I'd love to see other companies find ways to implement, and I'm hoping Plantronics' next generation of headsets fulfills the promise of their brand name a little better. Disclaimer: Plantronics sent us both the RIG 500 HX and the RIG 500 Esports Edition. 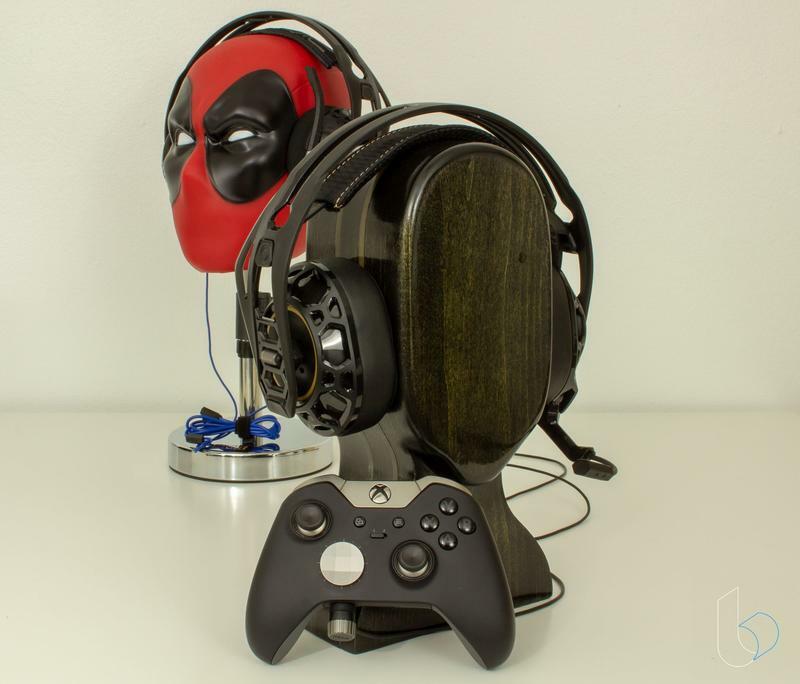 We gamed and listened to music on both of them for a month before starting this review.